Darlene Love came on stage to sing “Christmas (Baby Please Come Home)” on The David Letterman Show in 1986. She was dressed in jeans and backed by Paul Shaffer’s similarly-attired four-piece band. A full orchestra with backup singers, all in formal dress, and a stage elaborately decorated for the season supported her final Letterman appearance in 2014. Decked out in a sparkling red gown, Ms. Love’s performance of the song had become an annual tradition on Letterman’s Christmas show. 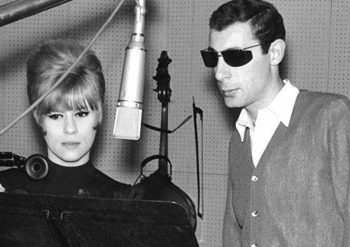 “Christmas (Baby Please Come Home),” written by Brill Building songwriters Ellie Greenwich and Jeff Barry, appeared on the 1963 album A Christmas Gift for You from Philles Records. (Later issued as “from Phil Spector”) Phil Spector brought his “Wall of Sound” to the Christmas season. Darlene Love’s voice is also heard on the record in songs performed by The Crystals and Bob B. Soxx and the Blue Jeans. 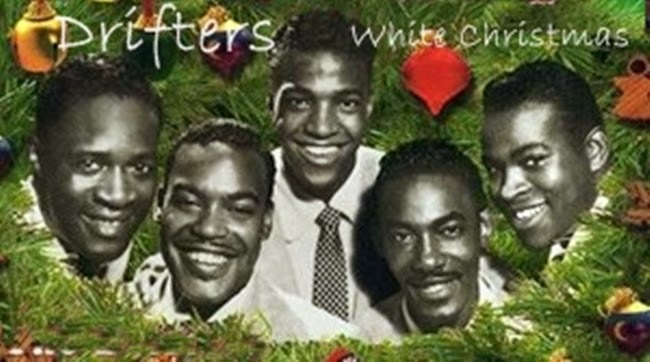 The album is considered a classic and “Christmas (Baby Please Come Home)” has been recorded by dozens of artists. 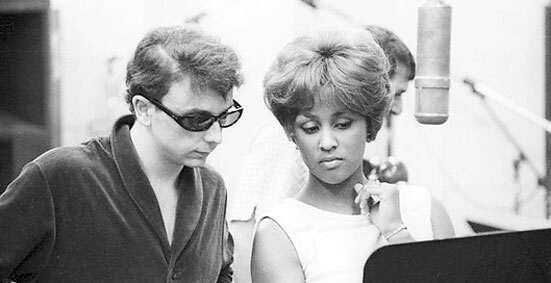 Phil Spector produced hit records by the Ronettes, the Righteous Brothers, the Crystals and others. The so-called British Invasion in the mid-sixties put his success into eclipse. The Beatles and other English groups took over the pop charts. Spector faded into the background and became a recluse, working only sporadically. 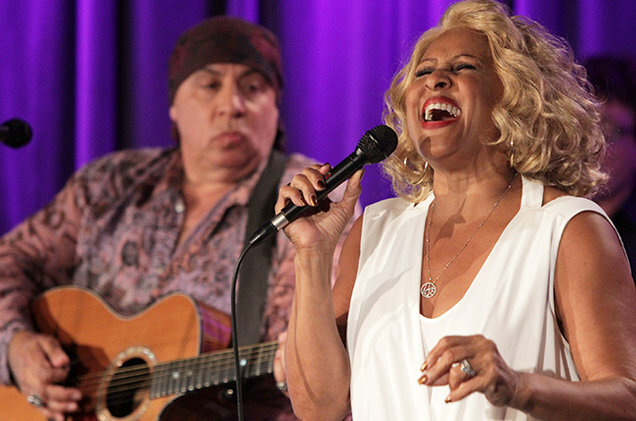 Darlene Love had been working since the 1950s, mostly with her group the Blossoms, doing background vocals on numerous recordings. She came into her own with music produced by Phil Spector. By the late sixties, her star, too, was fading. While Spector was ensconced in his Los Angeles mansion, wealthy with royalty income, Darlene Love was cleaning houses in Beverly Hills. (No royalties for her.) She had been working on a comeback, singing in small clubs in the L.A. area, when she caught the attention of Letterman. Spector is currently in prison in California, serving a nine-years-to-life sentence for second-degree murder. Al Pacino played the part of Spector in a TV movie. 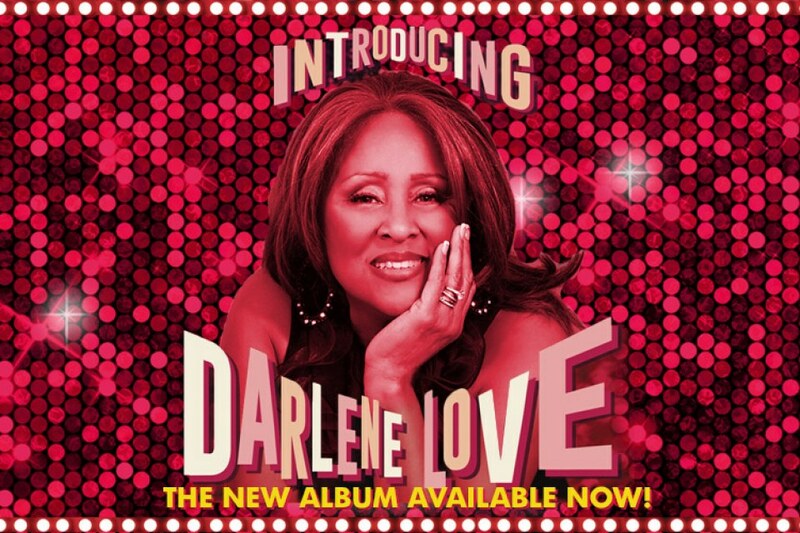 Darlene Love, meanwhile, was featured in the movie about back-up singers, “20 Feet From Stardom.” released a new album, ironically titled “Introducing Darlene Love,” produced by E-Street Band guitarist and Sopranos strip-club operator, Steven Van Zandt. Long-time fans Bruce Springsteen, Elvis Costello, Joan Jett, Linda Perry and Jimmy Webb contributed songs. In addition to raising children – I was one of them – Yvonne “Mike” Rothert was a journalist. She became food editor at the Portland Oregonian and was a driving force in the transition from “Women’s” news to serious food writing. She later was assistant editor of the Northwest Sunday supplement, when the newspaper still published a Sunday feature magazine. One of her published works was a reminiscence of Christmas growing up in depression-era Iowa. Can the plethora of modern toys offered to the gadget-minded children of today possibly be treasured with the love that was lavished long ago on the cloth-bodied “mama” doll dressed by a weary mother, or give as many hours of pleasure as the “jigsaw” puzzles homemade from calendar pictures glued to cardboard and cut with painstaking care by a hard-pressed father? 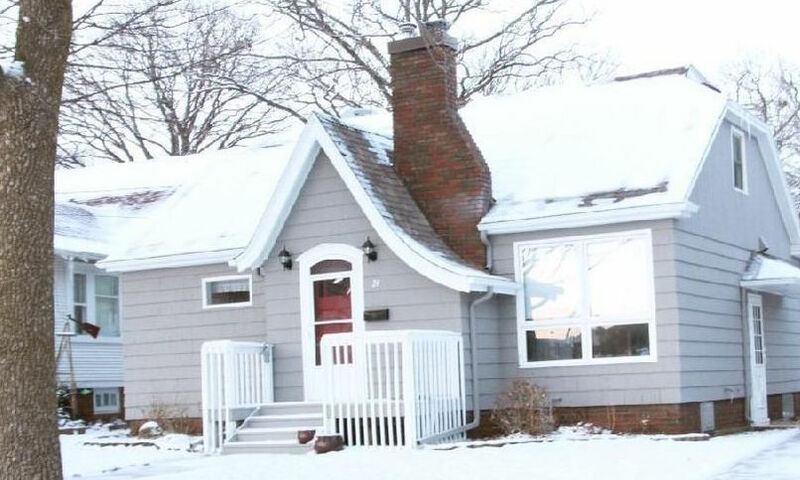 Christmas in a small Midwestern city in hungry depression days is remembered with tender nostalgia and a late-developing gratitude to parents who were somehow able to create a wealth of family tradition, riches beyond counting, from the least of material things. It was a time of delightful anticipation, of making crooked potholders from long knobby strings of “spool-knitting” or nearly impregnable pin-cushions tightly stuffed with cotton batting. There was the glorious trip to the ten-cent store with a carefully hoarded fund of pennies and nickels, to augment a child’s homemade gifts with truly remarkable treasures. Toys, sparkling jewels, perfumes as exotic to a child’s untutored senses as the finest from Paris; more household gadgets than mother could ever figure out how to use; glassware and figurines that rivaled the loveliest in the jewelry store down the street – a veritable treasure house of beauty almost too much for one small shopper to encompass. Miraculously, a penny or two always remained to drop in the red kettle on the corner to the tune of the reminding bell. “Christmas dinner for the needy,” the sign said. Though age brought disillusionment, for a few years at least those last pennies put turkey on the table for the red-eyed, blue-nosed Santas who stamped their freezing feet at every street corner, faded costumes sagging on gaunt frames as their hand-bells tolled the constant plea. What magic to join the crowds of Christmas shoppers hurrying homeward in the late afternoon, the street lights already glowing against the early winter darkness, each with a halo of its own light reflected on the snowflakes in the surrounding air. Away from the busy stores, the snow-muted street and sidewalks were eerie white canyons between the head-high walls of shoveled snow. Home to the warmth and sweet aromas of Mother’s traditional Scandinavian Christmas goodies, the julkaka, the fattigmand bakkelse and the spritz, to plead for “just one” before they were stored away, like the jewels that they were, until Christmas Eve. And Father would read “Twas the night before Christmas,” with the children hanging on every familiar word and joining in the most-loved parts. 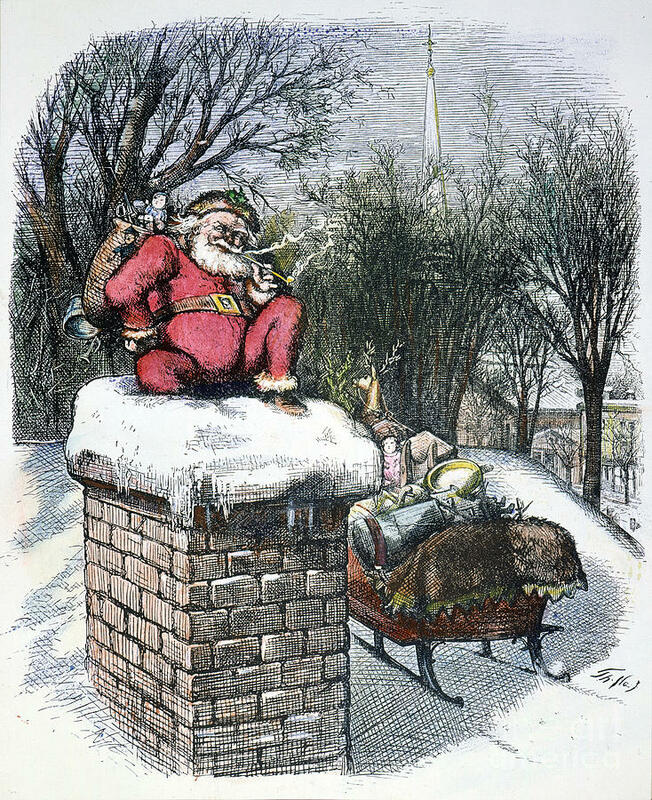 Stockings were hung as recommended, by the chimney with care, not specially decorated Christmas whimsies, but freshly laundered everyday ones, those tan ribbed affairs that were pulled up each morning over the lumps and bumps of hated long underwear. “Visions of sugarplums” really danced for small dreamers snuggled under heaps of hand-tied comforters, while Jack Frost touched up his own crystalline window decorations. The first sound to break the stillness of Christmas morning was metallic clanking through all the warm air pipes as Father “shook down” the furnace, carefully banked the night before. Somehow he always managed to be up before the earliest stocking-seeker, to shovel in some coal and let the house begin to creak through its morning battle against the deep cold of the night. The established rite was for everyone to pile on Mother and Father’s bed to explore the stockings’ contents, exclaiming over what Santa left in an unspoken agreement not to disillusion still-believing parents. Lumps and bumps filled the stockings again, more grotesque and infinitely more exciting than their everyday variety. The first big bulge was the apple, the long thin space in the center the banana, and the rounded heel held the orange. In the toe, always, was a handful of shiny, never-used-before pennies. In between were the hard candies that always stuck together, peppermints and fruits mingling in a special Christmas flavor, and assorted tiny treasures. Santa must have shopped the ten-cent store, too. Then began the interminable wait as relatives gathered for the tree itself. Santa confined himself to stuffing stockings; all other gifts were under the tree, to be peeked at but not poked until everyone was present. Breakfast oatmeal, choked down on other winter mornings, was impossible on Christmas, a fact which Mother never seemed to grasp fully as she tried to make it festive with raisins and brown sugar. Uncle Max and Aunt Margaret were the first to arrive, merry and round, Mr. and Mrs. Claus in mufti. Childless themselves, they spent their love on us and any other available children. In traditional red, Uncle Max was yearly the jolliest of Santas for the American Legion’s children’s party. Grandma and Grandpa were always a little late, because they stopped to pick up Great-Aunt Cora. Each year she had a new sauce to try for the plum pudding, one that could only be made on Christmas morning. As we waited we could imagine her presiding over the saucepot, stately and imperious. She dominated the family with a steely will which could be penetrated only by children, who found the chinks in the armor without trying. For some years Great-Grandfather Hicks was there, he of the white goatee and New England ancestors. After the confusion of the great gift-opening, he would grudgingly join in the parlor games which were part of every family celebration. “Ridiculous,” he would mutter as a child approached with the old “Button, button, who’s got the button.” When it came to “Animal, Vegetable or Mineral,” though, he sat on the edge of his chair and outdid us all. Who will be remembered by the next generation? Will our Christmas today be recalled with the same warm feelings? The answer lies in our hearts. Life was tough for those living in northern latitudes during prehistoric times. When the growing season ended they had to survive on what food they stored and what animals they could kill. Each day the darkness came a bit earlier and lasted longer into the next day. They feared the sun would disappear forever and leave them in permanent darkness and cold. After the solstice passed, they would begin to take heart that the sun would return, giving them reason to celebrate and to hope. 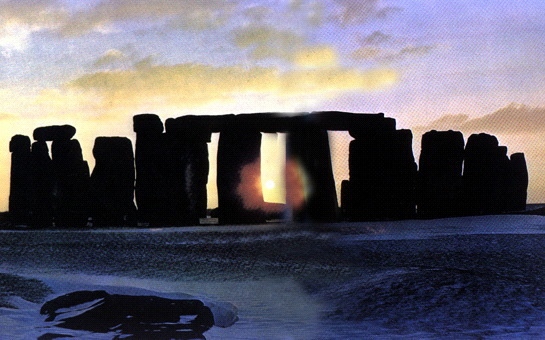 Even without instruments, to measure the solstice, after a few days they could tell the sun was moving higher on its path, giving cause for celebration. Beginning in the 3rd century BCE, the Romans honored Saturn, the god of the harvest. The Saturnalia celebration began on December 17 and lasted for a week. The festivities included giving gifts and lighting candles. Romans being Romans, over time it degenerated into a week of debauchery and revelry. An ancient Syrian god, Sol Invictus (“The Unconquered Sun”) became the chief god of the Roman Empire in the 3rd century CE. The Roman citizens celebrated his holiday on December 25. Theologians and religious historians estimate that Yeshua, later known as Jesus, was born in the autumn, sometime between the years 7 and 4 BCE. By the 4th century CE, western church leaders felt they needed to celebrate Christ’s birth. They chose December 25 because that date was recognized throughout the Roman Empire as the nativity of various pagan gods. There being no central church authority at the time, it took centuries for December 25 to be universally accepted. Ireland began celebrating Christmas in the 5th century. England, Austria and other European countries did not begin until the 8th century. Christians adopted many pagan symbols, such as holly, mistletoe, decorated evergreen tree, gift giving and, yes, magical reindeer. The Romans decorated trees for their Saturnalia festivities. Vikings adorned evergreen trees with pieces of food and clothing, and small statues of the gods to persuade the spirits to return in the spring. 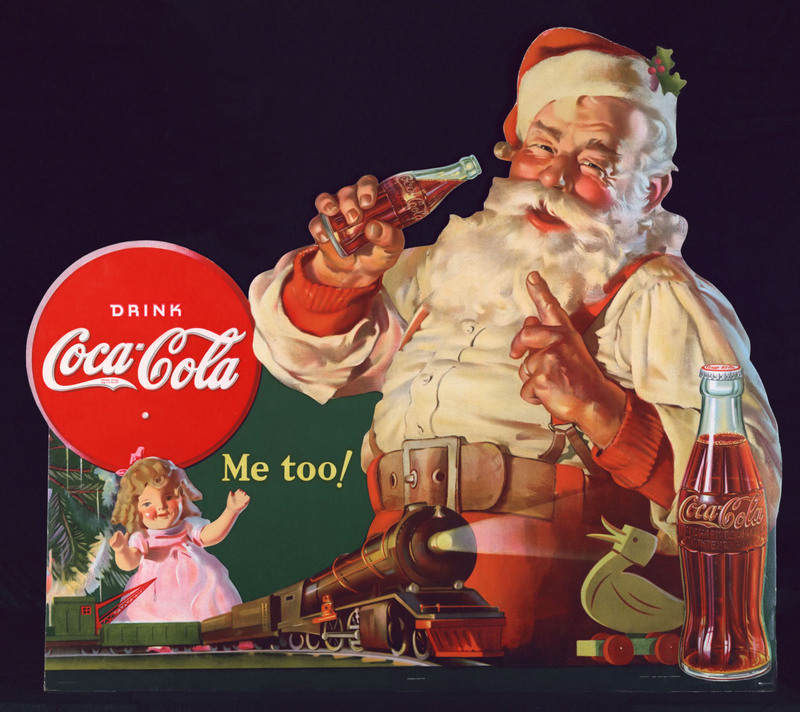 Santa Claus is an amalgam of a number of pre-Christian stories. German mythology includes the character Odin, a wise old man with a beard who rode an eight-legged horse. 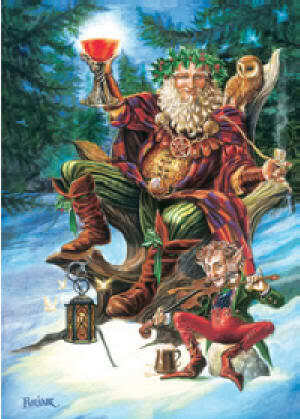 Ancient Anglo-Saxon solstice celebrations featured Father Time, King Frost or King Winter, dressed in a green hooded cloak wearing a wreath made of holly or mistletoe. Our pilgrim antecedents were not enthusiasts of Christmas. In the mid 17th century, Christmas was actually outlawed in the city of Boston. The first Congress under our new Constitution was in session on December 25, 1789. It was not until the years after the Civil War that Christmas started to gain popularity in the U.S.
helped popularize the celebration. Christmas finally became an official U.S. Holiday in 1885. Now we celebrate Black Friday. 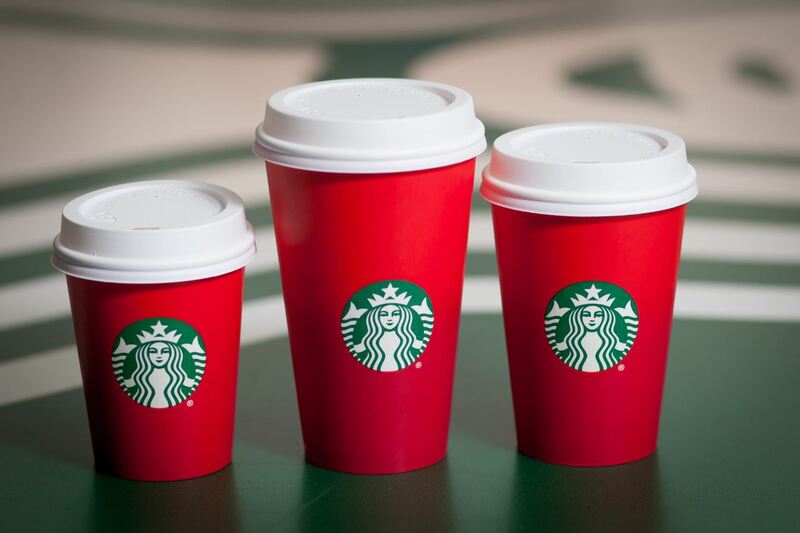 A final thought: what does this have to do with Starbucks and the war on Christmas? Historically, the war on Christmas has been waged mostly by Christians. Special fun bonus link: The story of the Starbucks mermaid. 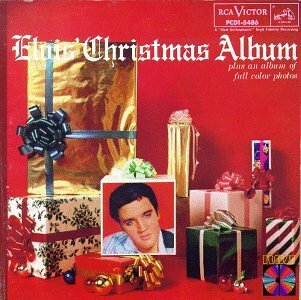 RCA Victor records released Elvis’ Christmas Album on October 15, 1957. (Way back then, records were released; today they’re dropped.) Time magazine called the album “a crime against Christmas . . . all of which should guarantee it’ll be on the top ten overnight.” Time was right; the album spent four weeks at number one on Billboard’s LP chart. 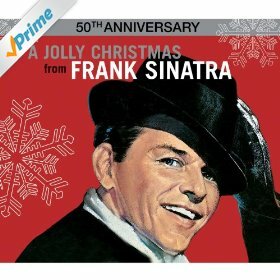 It is the largest-selling Christmas album of all time. Al Priddy, disc jockey at Portland’s KEX radio was fired on December 7th of that year for playing “White Christmas” on the air. 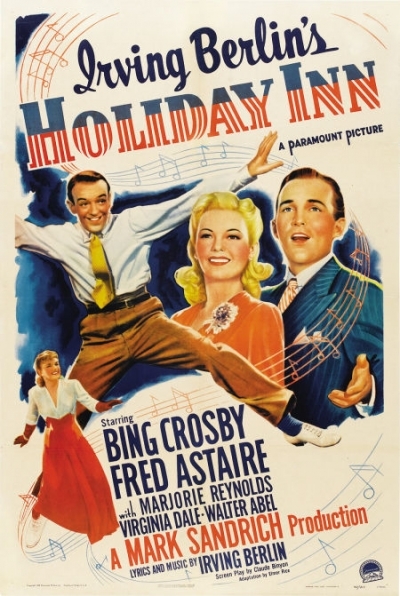 Irving Berlin composed “White Christmas” for the 1942 movie “Holiday Inn.” Bing Crosby’s crooning of the song was such a hit that a movie built around it was released for the 1954 Christmas season. The story goes that Berlin called Presley’s rendition of the song a “…profane parody of his cherished yuletide standard,” and put pressure on radio stations not to play it. It’s the Christmas season but Esther Smith’s heart is not filled with joy. Her father has announced that he’s being relocated to New York for his job and the family will be moving there. The move will separate Esther from John, the boy she loves. Esther, played by Judy Garland in the 1944 film Meet Me in St. Louis, is the second of four daughters in the Smith family. The year is 1903. Esther’s brother and three sisters are unhappy about leaving behind their school friends and romantic partners. To make things worse, they will miss the greatly-anticipated world’s fair the following year. On Christmas Eve, Esther soothes her little sister Tootie (Margaret O’Brien), singing to her Have Yourself a Merry Little Christmas. The song has since become an inescapable part of the holiday background. 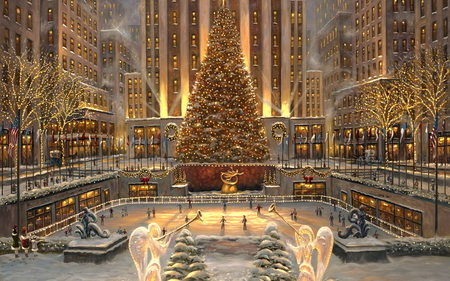 The music-licensing company, ASCAP, once named it the third most-performed Christmas tune. A Jolly Christmas. He went back to Martin asking him to “jolly up” the line “Until then we’ll have to muddle through somehow.” The composer changed it to “Hang a shining star upon the highest bough.” This became the standard version. Later, Ms. Garland sang these revised lyrics on The Judy Garland Show Christmas Special. The list of artists who have recorded this song is almost endless, usually with the “shining star” lyric. One, Chris Isaak, recorded both versions of that verse. And the Smith family? When Mr. Smith realized how unhappy his family was, he changed his plans, cancelling the move to New York. They all got to go to the 1904 St. Louis World’s Fair.